We had a very exciting visit to The Priest House this week. 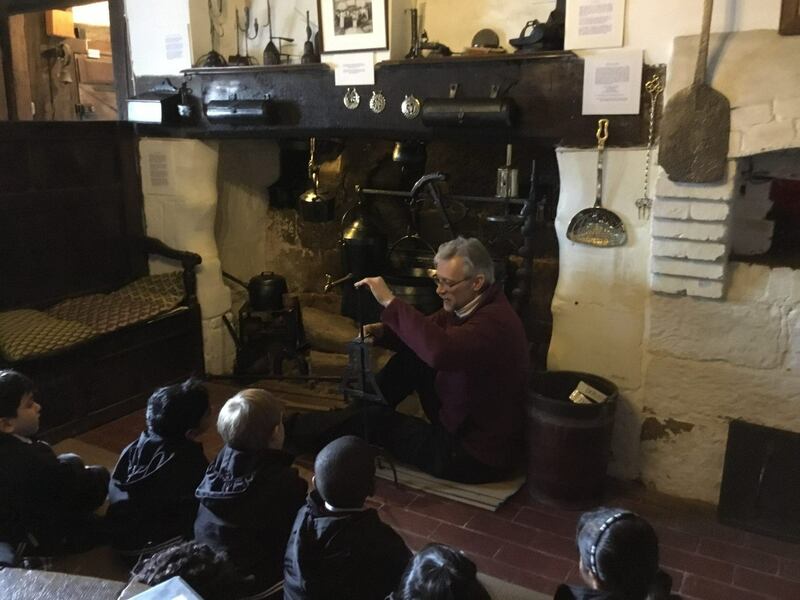 We learnt lots about this special old building and found out about several kitchen items and their uses …i.e. ‘the salamander’ which was used to brown the top of pies and we saw how they toasted their bread too. We learnt that candles were made of meat fat and people sometimes had to eat their own shoes if they were really hungry. In the dining room, we saw the ‘hutches’ that were cupboards the food were kept in. We went upstairs to look at the bedrooms and saw another impressive fireplace. The children were horrified to find no bathroom and to learn that the toilet was at the end of the garden! 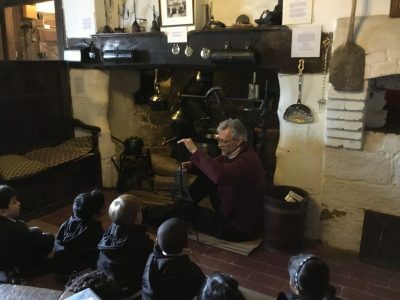 We also learnt there were some famous Copthorne smugglers who smuggled tea, gold ingots, dolls from France and barrels of brandy through tunnels underground into the inn close by. In maths we have been counting on from the largest number using coins and number lines to help us. Our topic of growing has also continued and we have now planted broad beans and cress seeds to observe over the next few weeks.